In the world of traditional industrial robots, robotic systems of all kinds are used for a wide variety of handling tasks. In these applications, humans are protected by the robots’ safety technology. 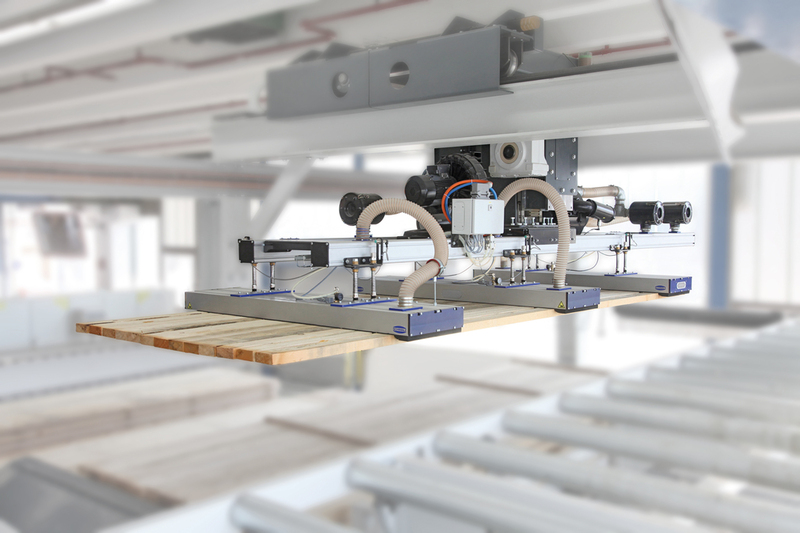 The areas of application are highly varied and range from chains of presses in the automotive industry to palletizing tasks in logistics all the way to handling of wood, glass, and many other workpieces. Investments in this area tend to be relatively high, and systems are programmed for specific applications. The systems generally remain used for these applications for an extended period of time without undergoing any major adaptations. When industrial robots are used, short cycle times, efficient production steps, and often extreme precision are required. The workpieces to be handled are generally relatively large and heavy and therefore require large ranges on the part of the handling system. Moreover, the durability and reliability of the systems also play an important role. As a direct contact to the workpiece, the vacuum gripper constitutes a central element of the overall system and must also be able to meet these requirements. Experienced system consultants will help you design the vacuum solution to suit your industry-specific needs. The aim of using industrial robots is to implement rapid accelerations and short cycle times. In order to grip workpieces securely even in these kinds of applications, the vacuum gripper must feature extremely strong holding force. 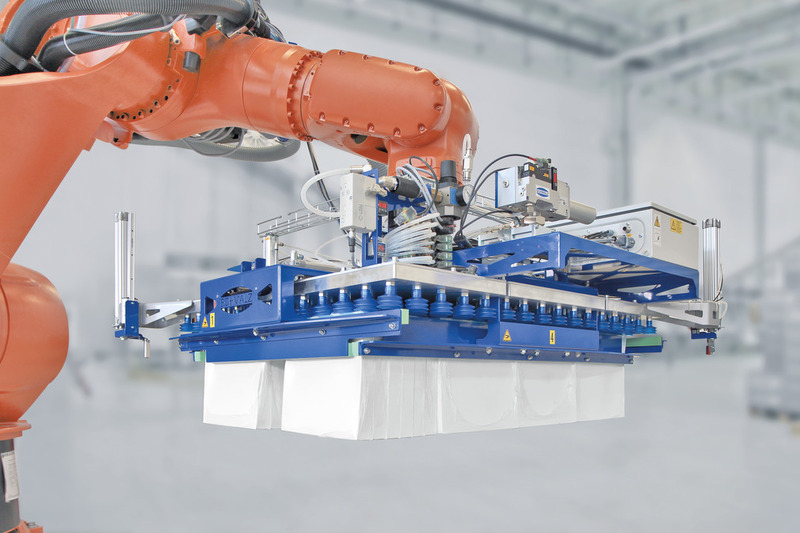 The workpieces that are handled with the help of industrial robots are often heavy and need to be moved large distances. The aim is also to reduce downtime to a minimum. It is important that the vacuum gripping system is robust and low-maintenance. The long service life of Schmalz vacuum components and systems help contribute to this. Thanks to their smart design, they can also be used in Industry 4.0 applications. A number of process steps are automated using industrial robots. 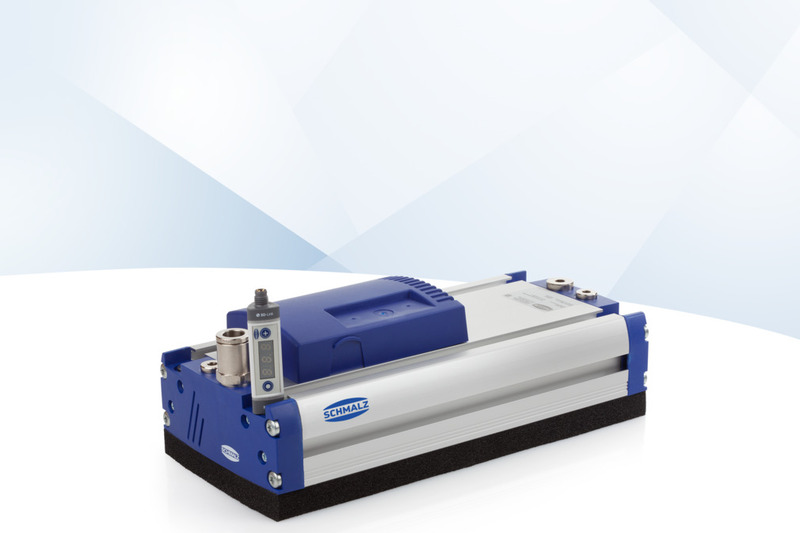 The condition monitoring functions of the intelligent vacuum components can be used to avoid unexpected system downtime. The components report the current status of the system and, in this way, allow for preventive maintenance measures and contribute to improved process reliability. The use of energy-efficient vacuum gripping systems can lower operating costs and allow production steps to be made more effective.